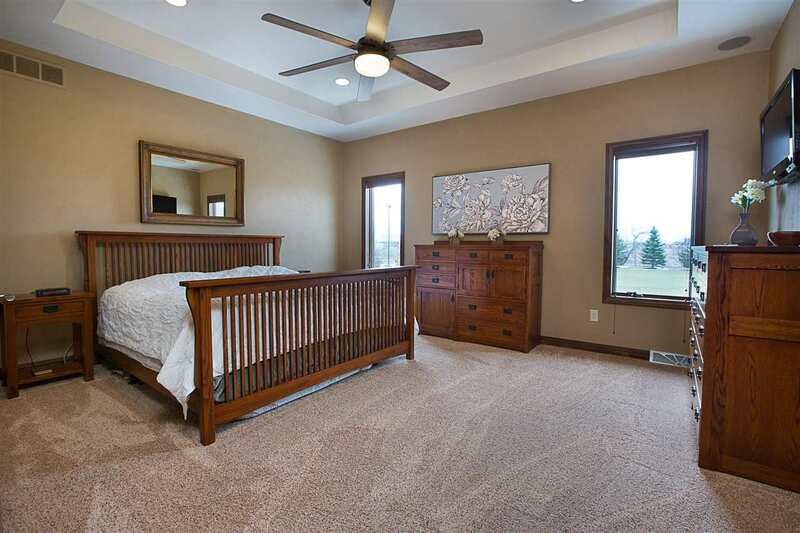 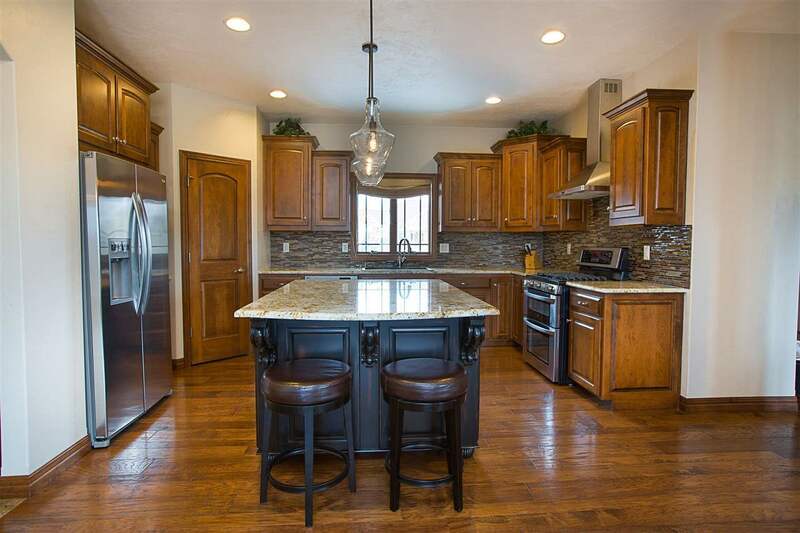 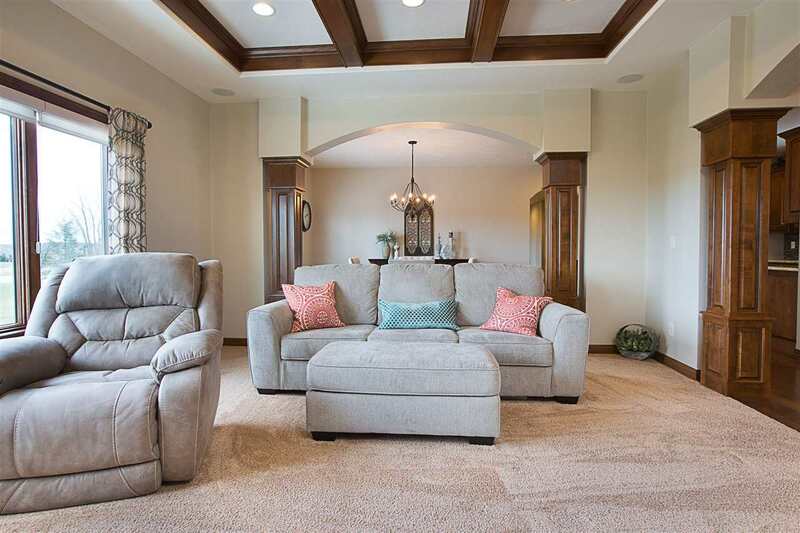 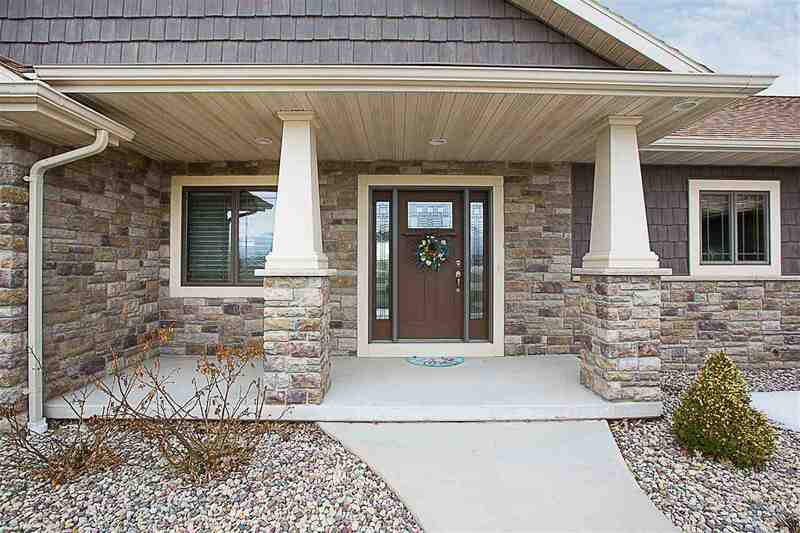 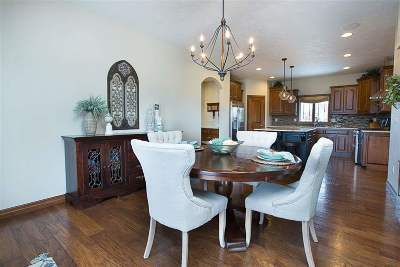 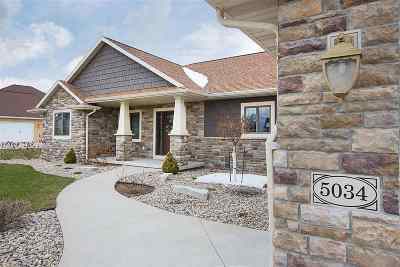 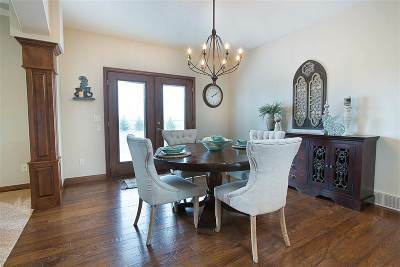 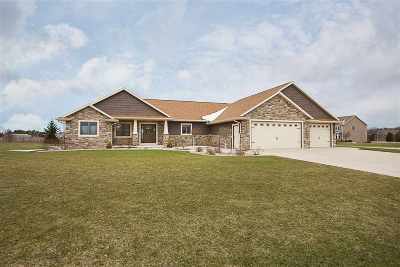 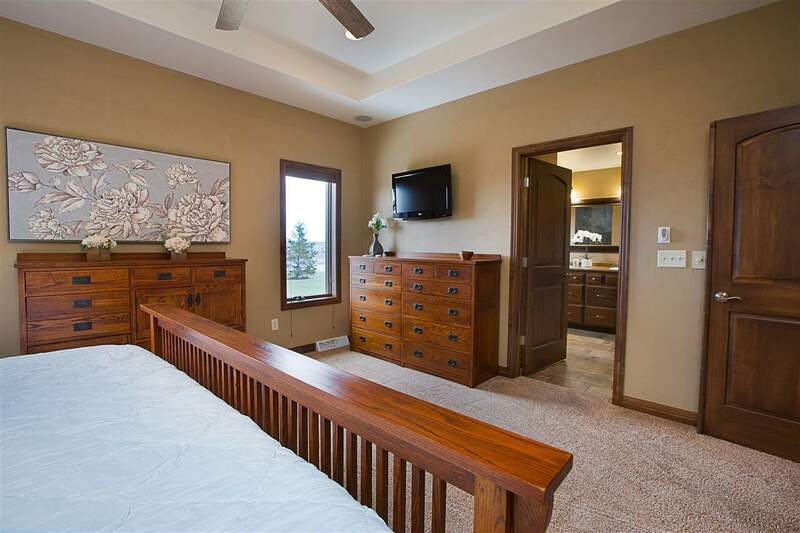 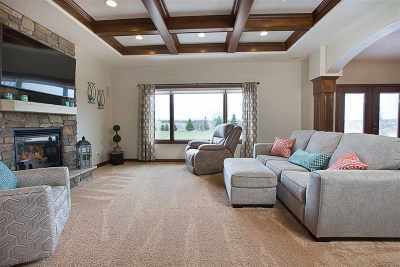 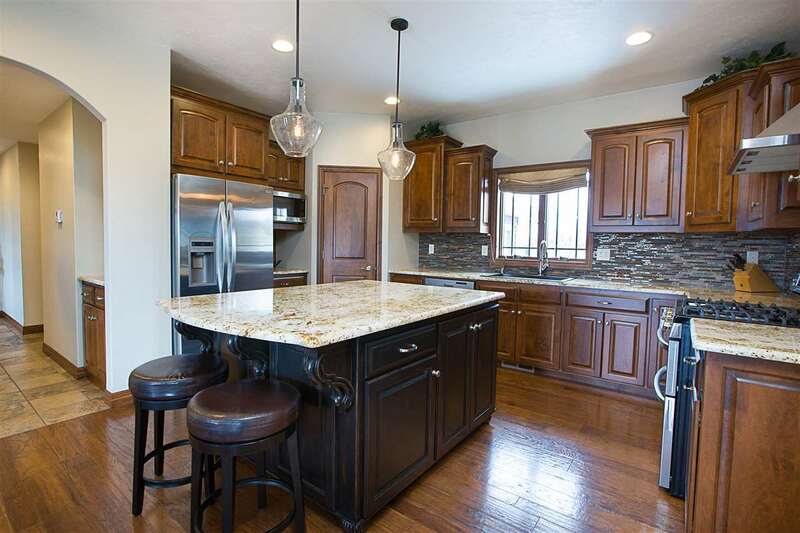 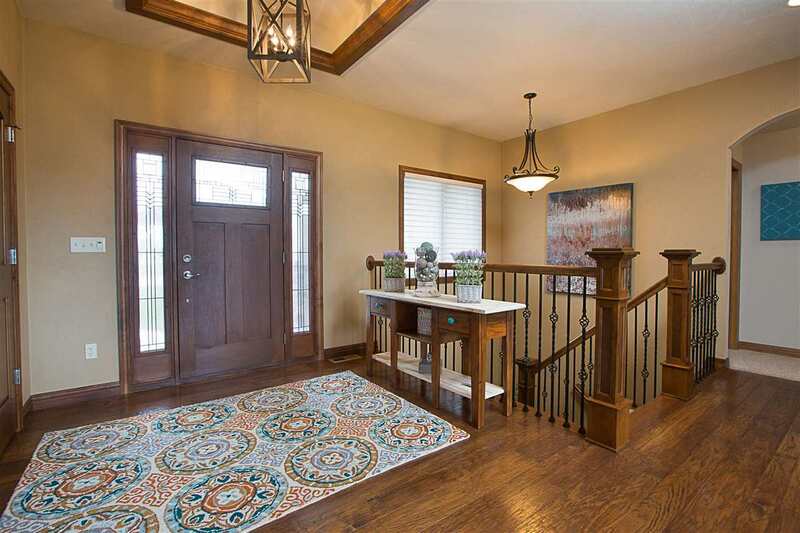 This custom built former parade home is a split bedroom design ranch is located on an acre lot and has many additional upgrades. 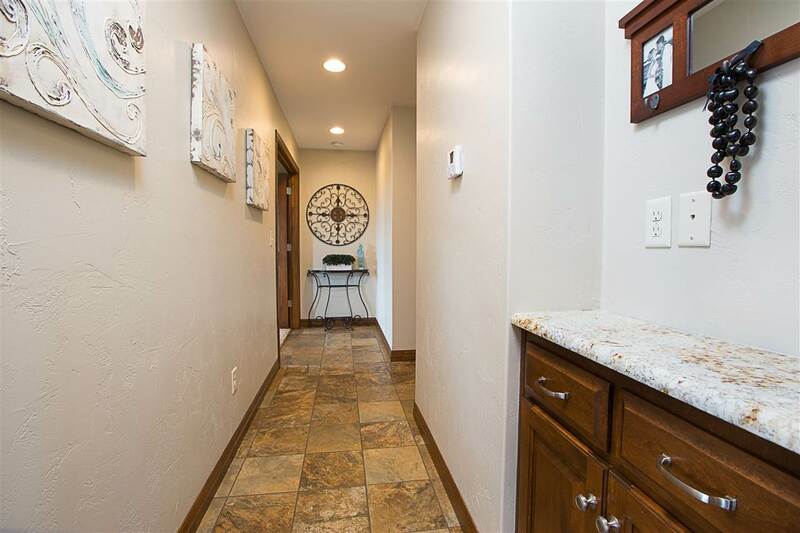 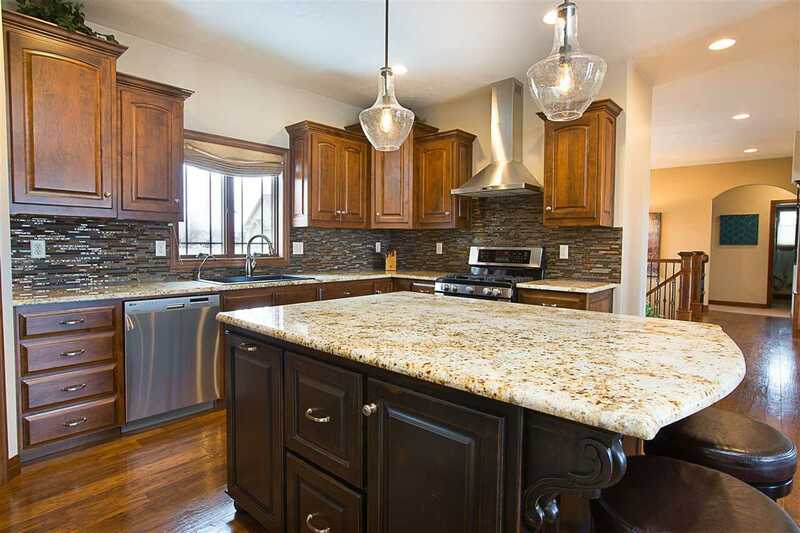 Open concept design, with granite countertops, engineered hardwood flooring, spacious dining area with patio doors leading to patio with gas ran for grill, large backyard and private trees. 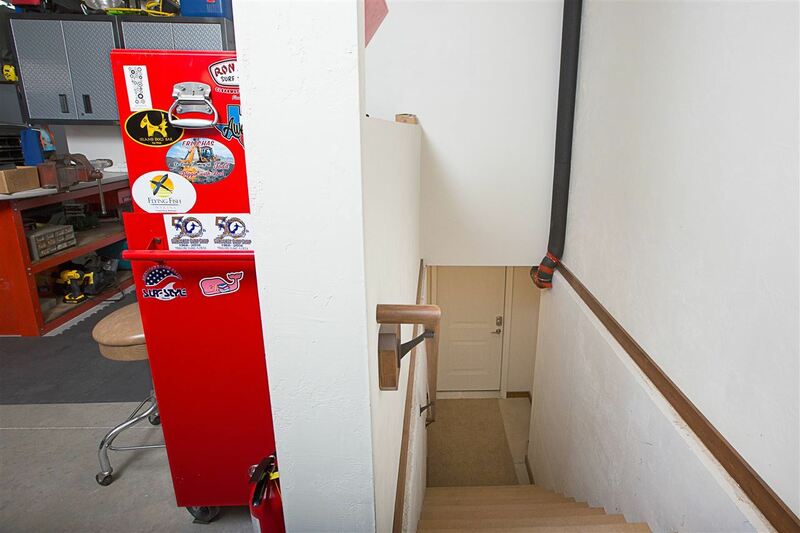 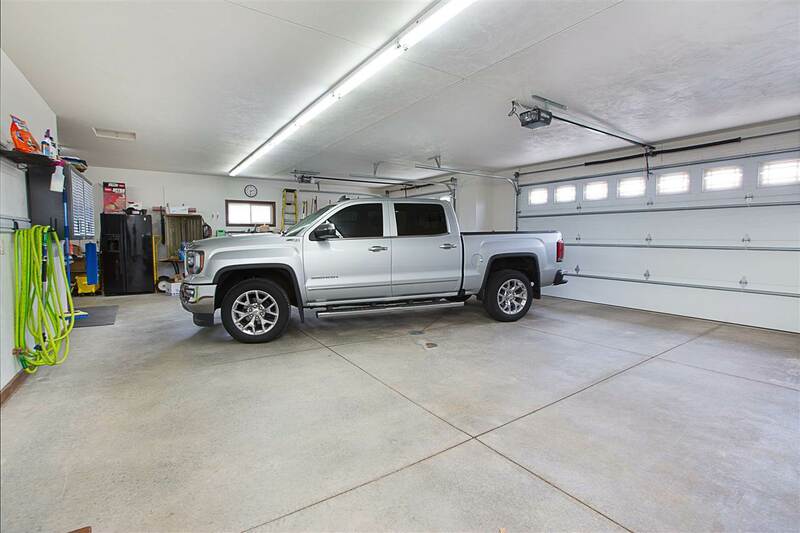 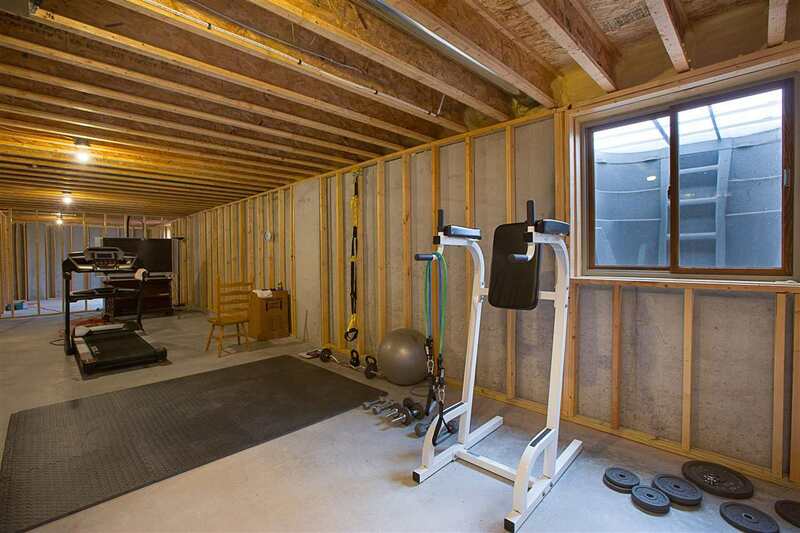 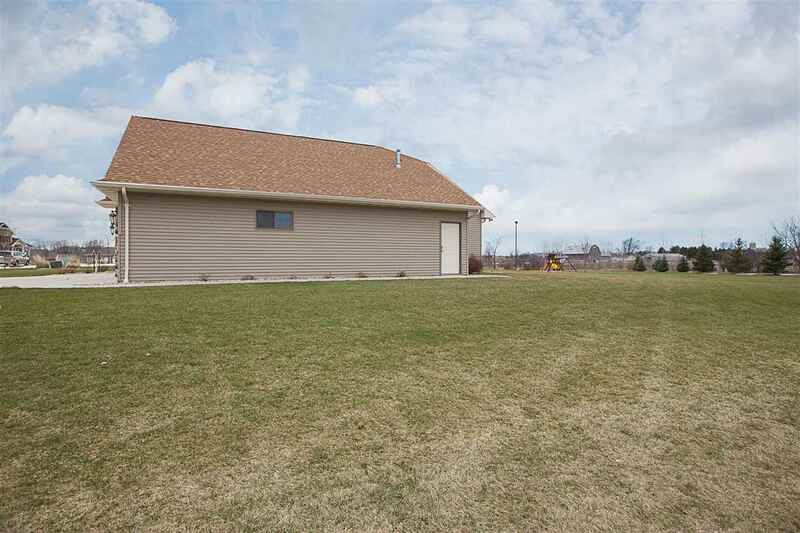 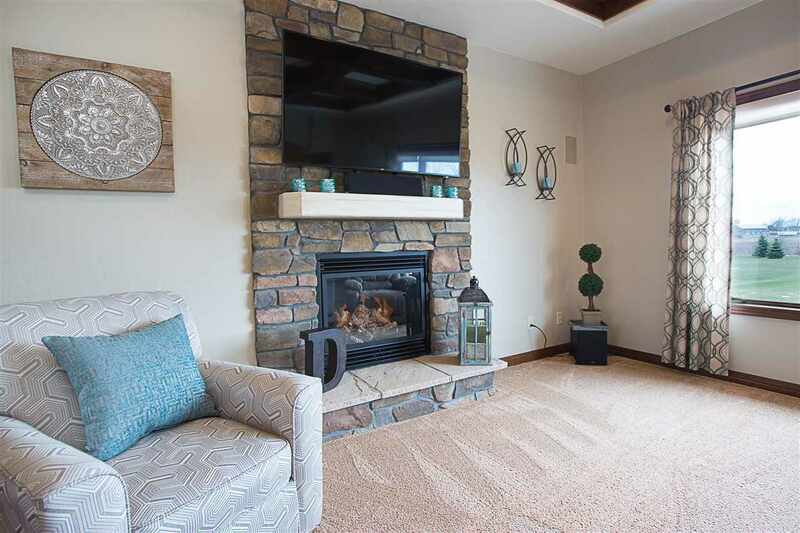 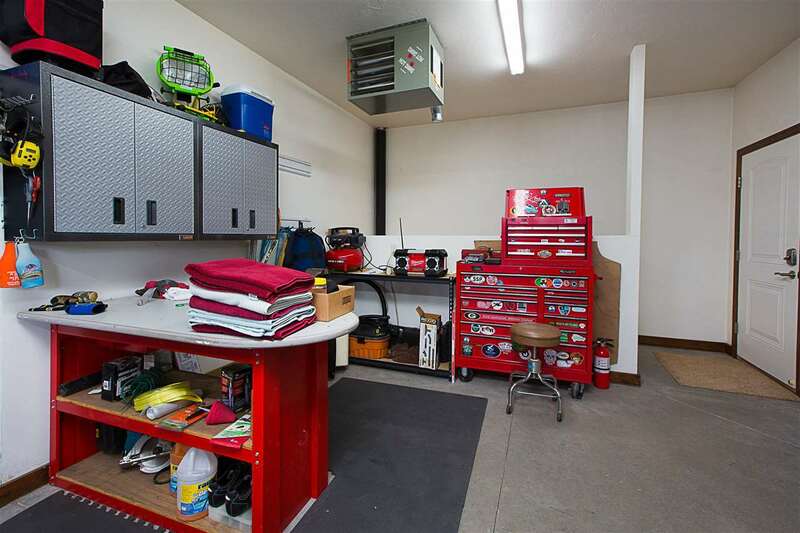 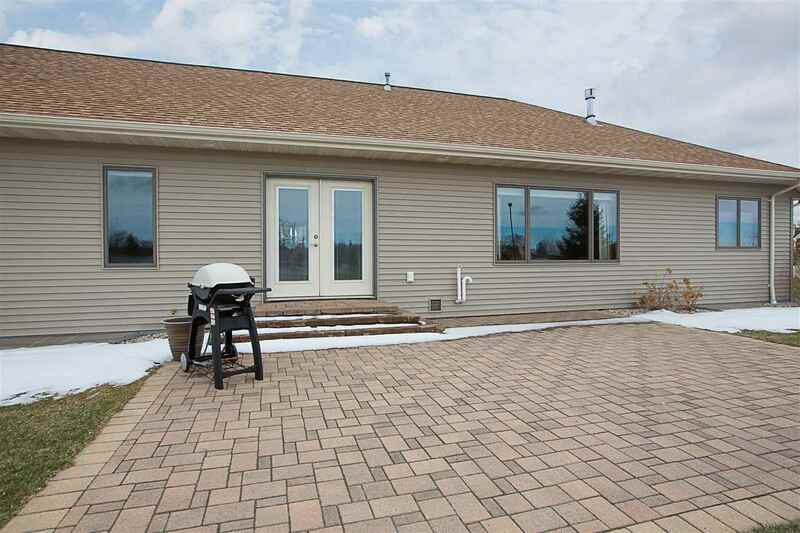 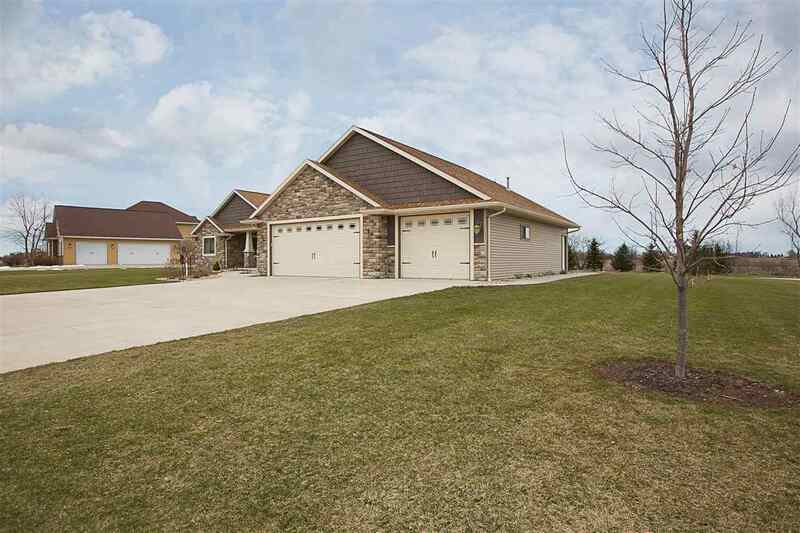 The almost 4 car garage is insulated and heated with stairway leading to the basement. 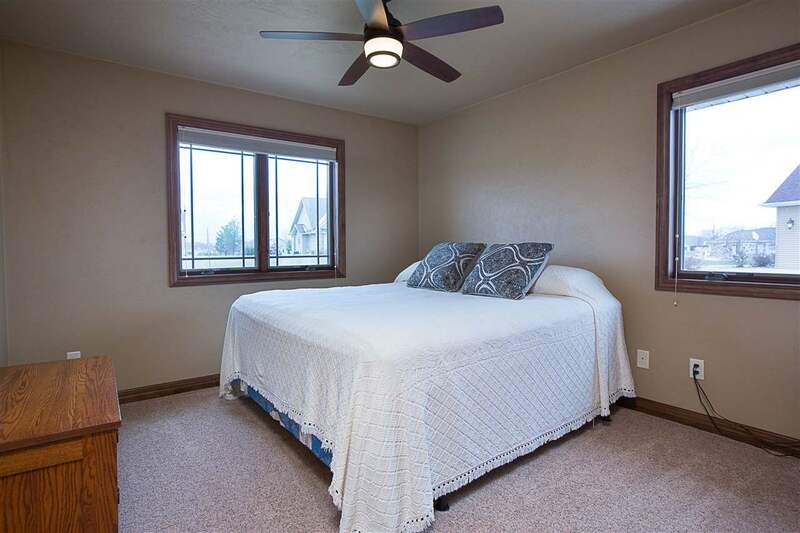 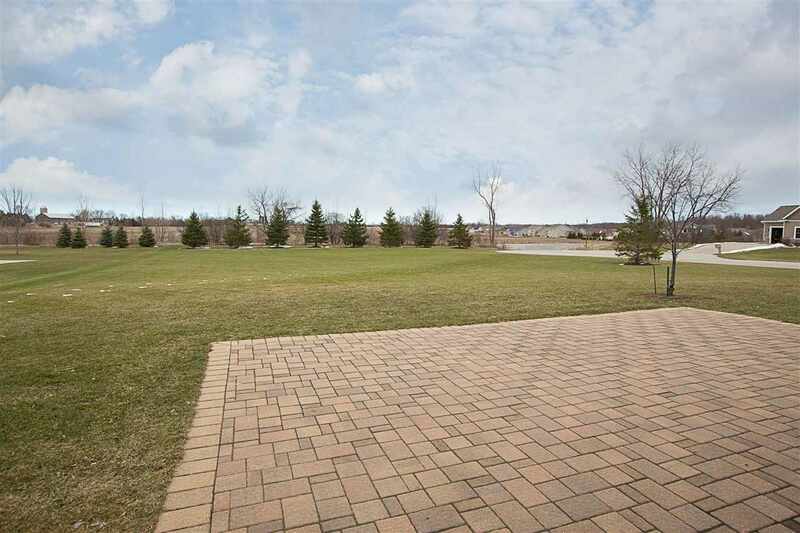 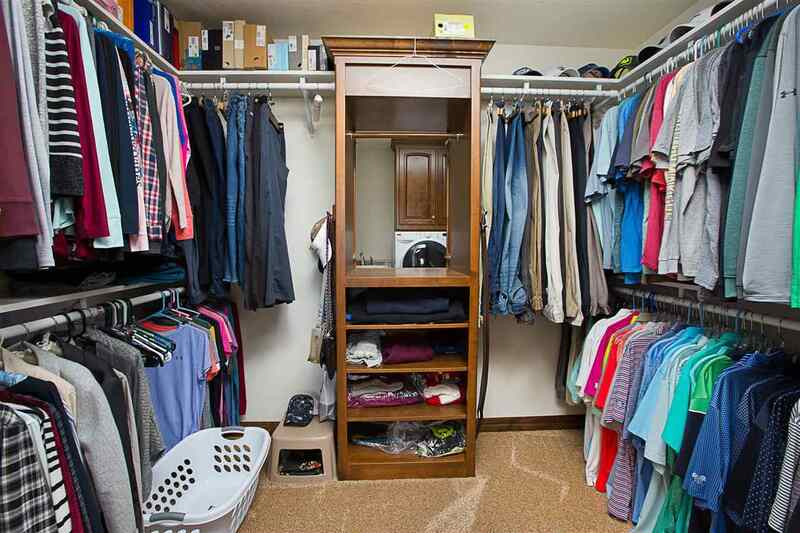 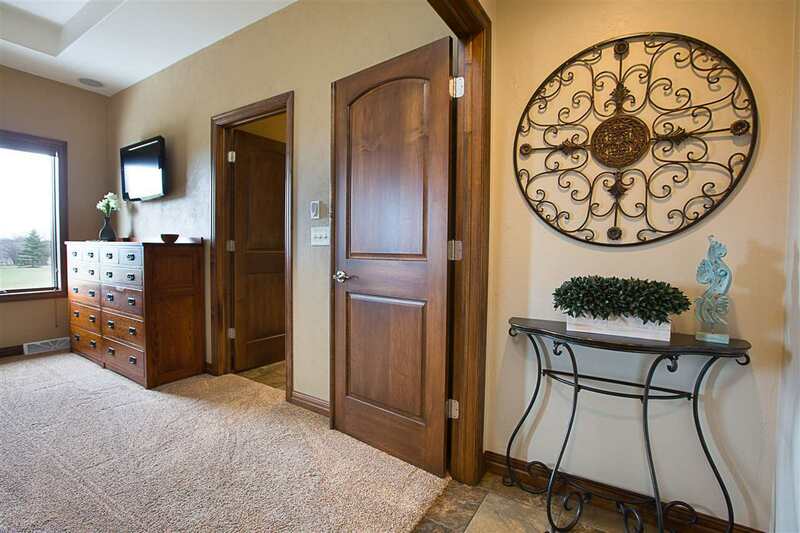 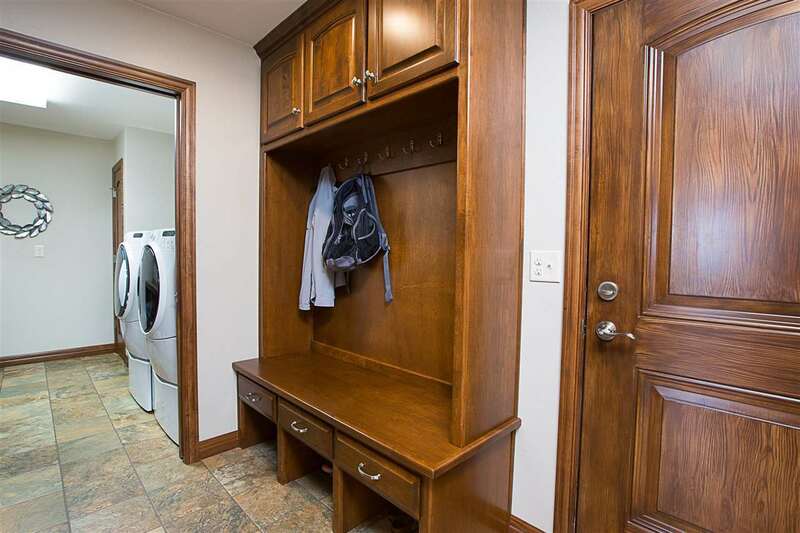 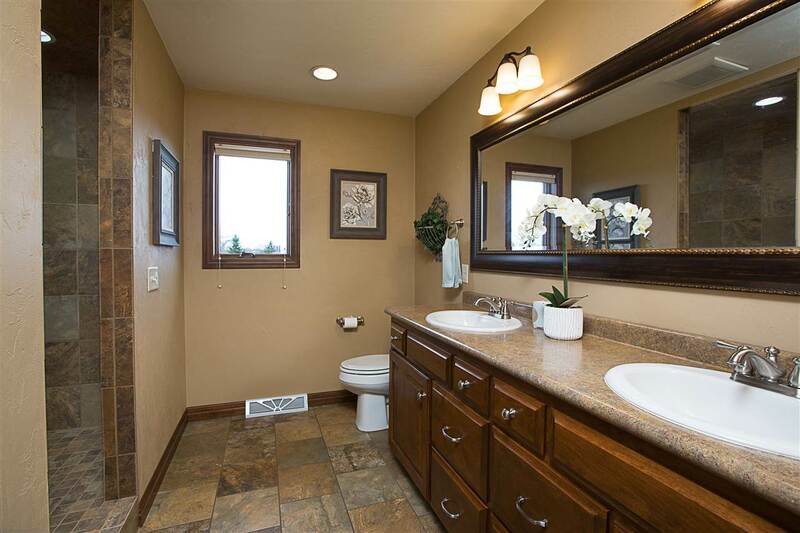 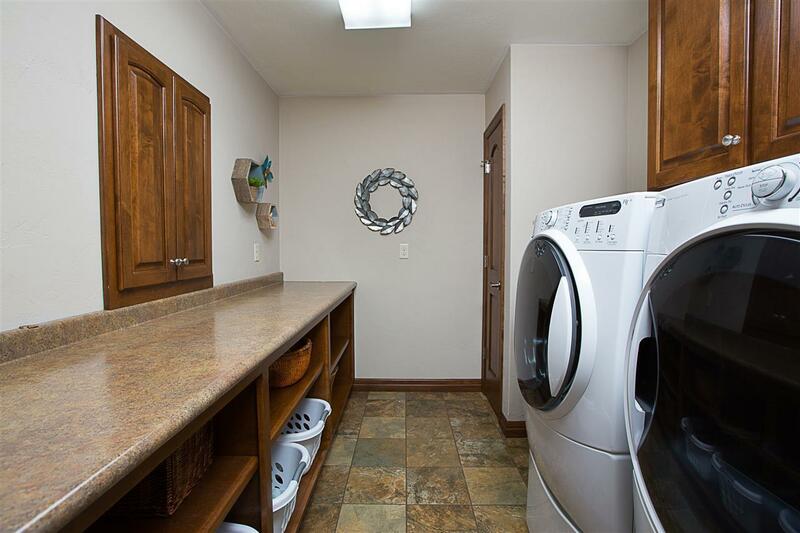 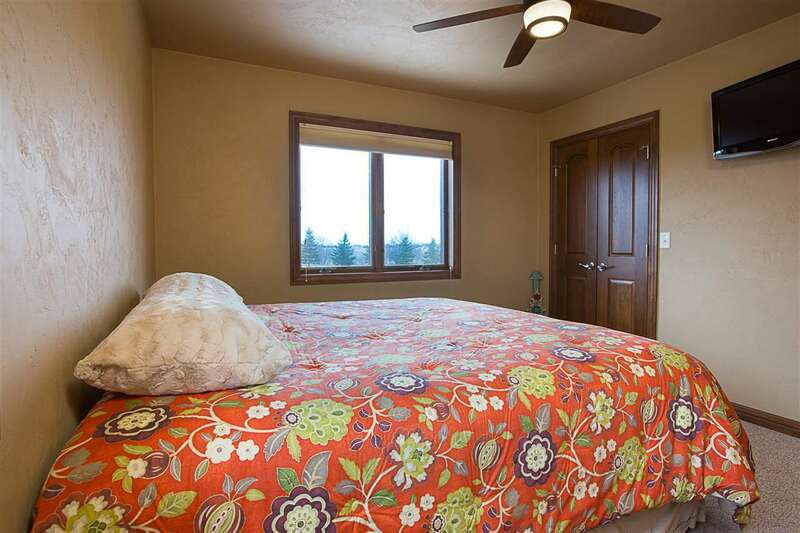 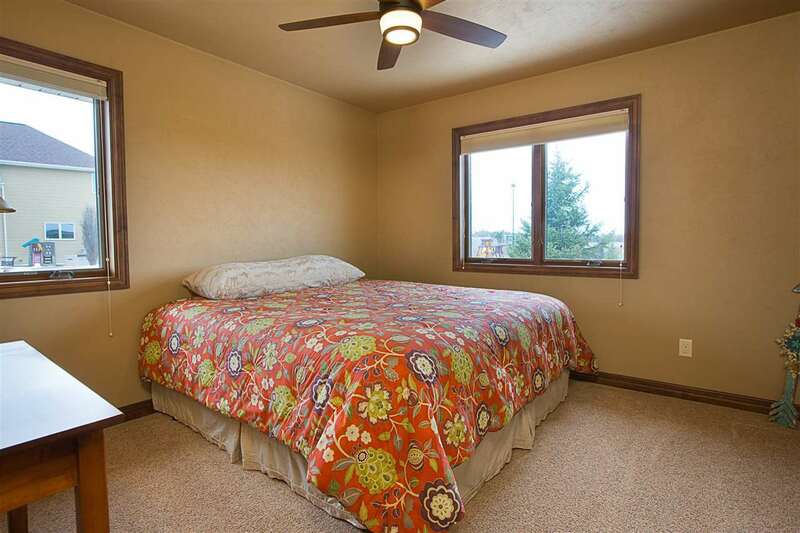 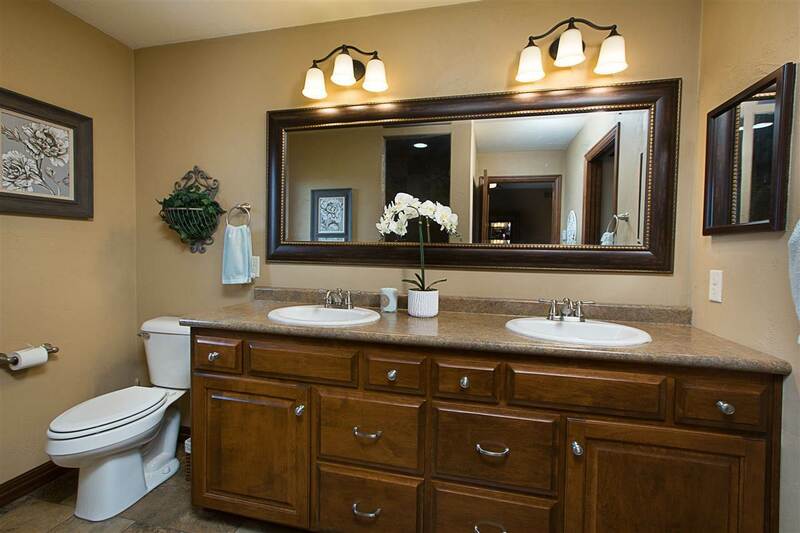 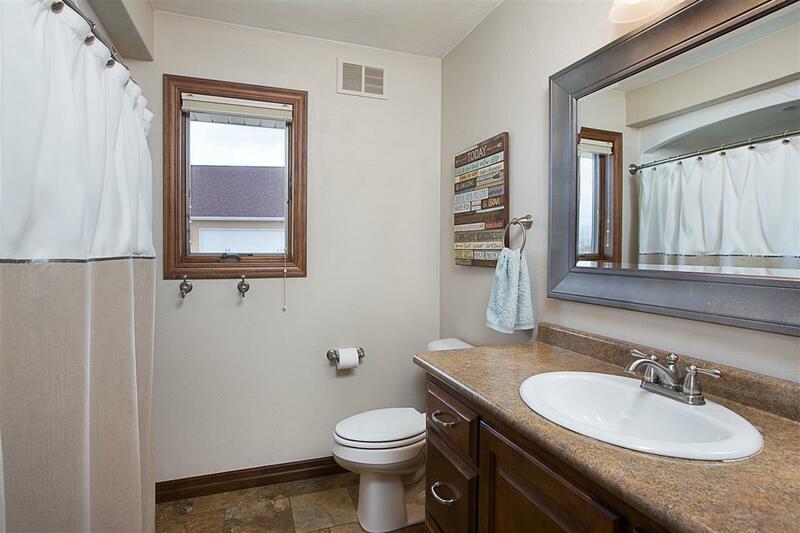 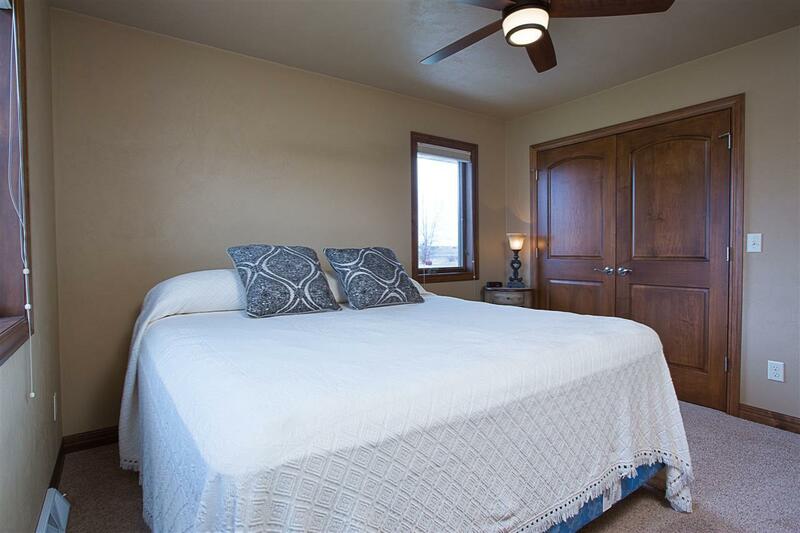 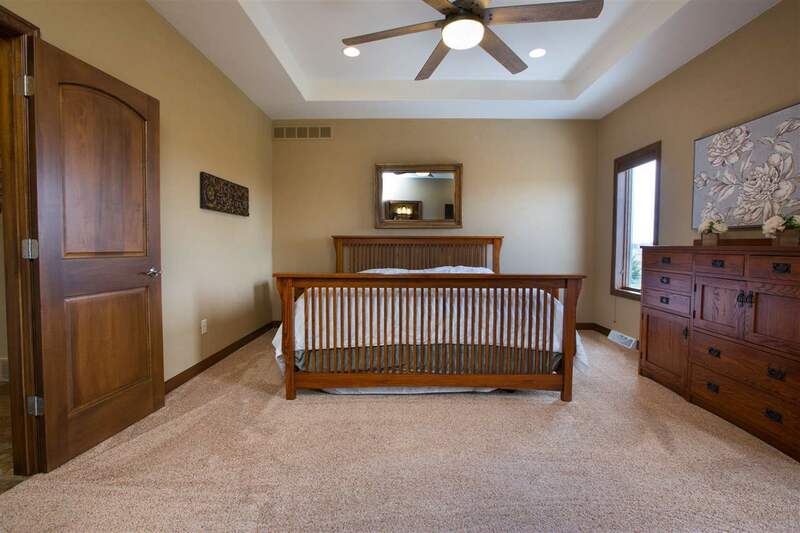 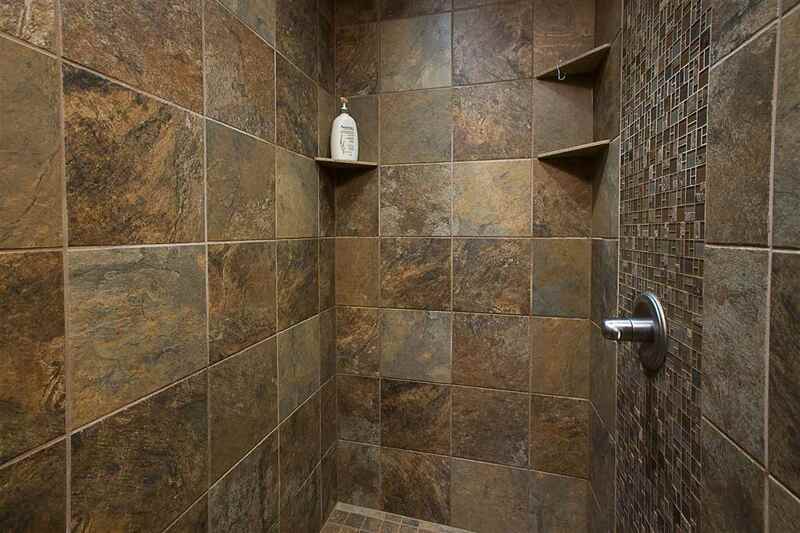 Master suite with heated floor, walk-in tiled shower and two sinks with laundry pass through to laundry room. 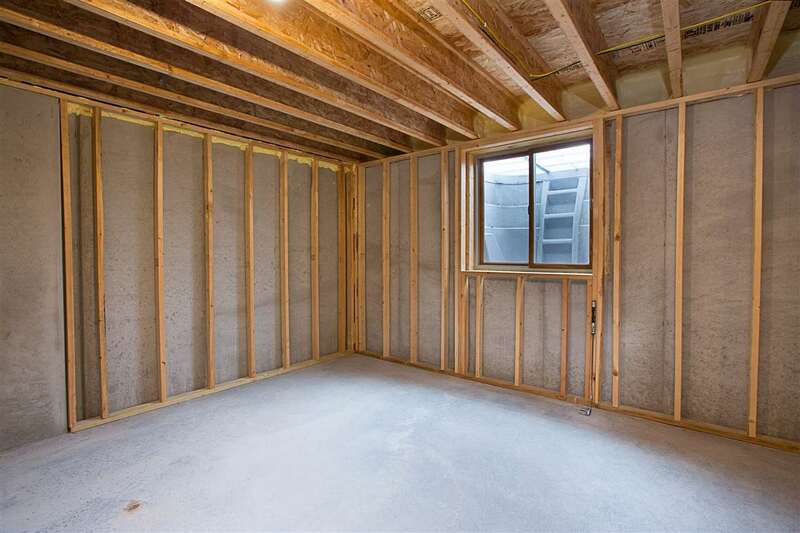 The basement is stubbed for expansion with egress windows. Directions: Hwy 15w To N On McCarthy, E On Century Farm Blvd, Follow To Red Barn Ct.